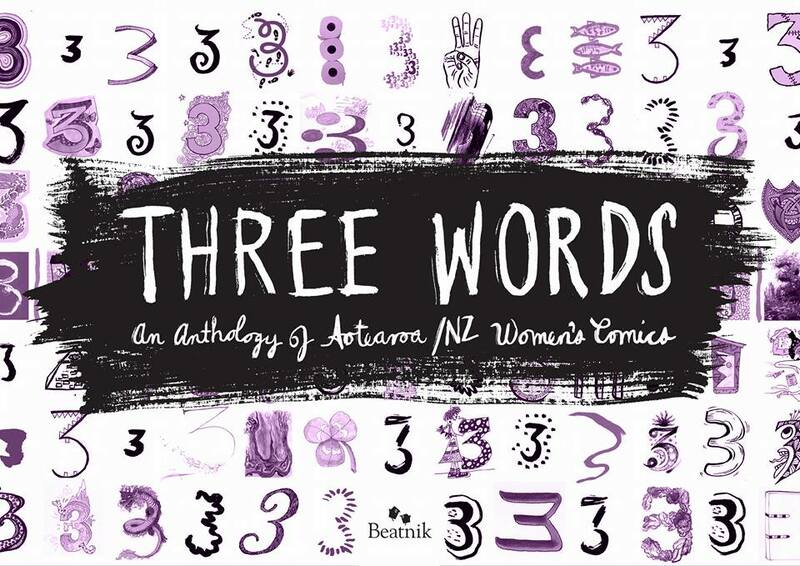 Three Words, an anthology of Kiwi women’s comics, is available to pre-order from Beatnik Publishing now! 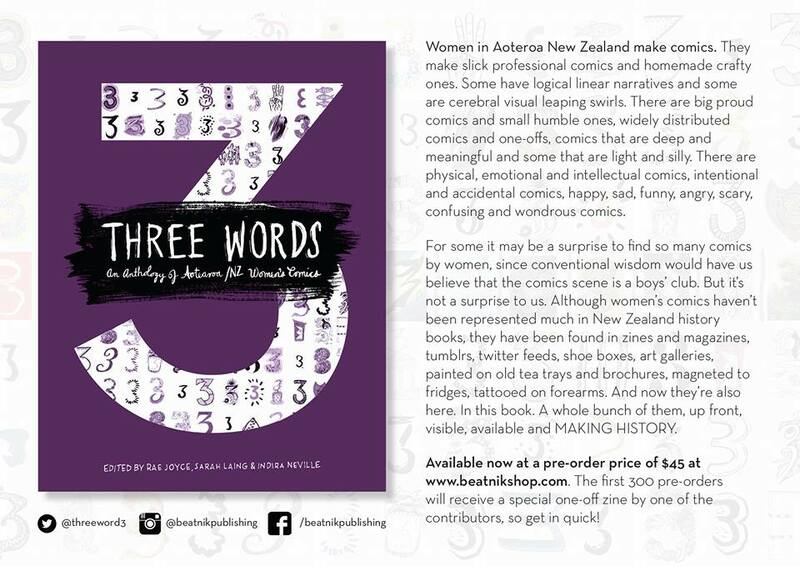 It has a special pre-order price of $45 and will be published in March 2016. The first 300 people to pre-order will also receive a zine.